Bird cages, just like the birds they house, come in all shapes and sizes. So how do you pick the right one? It's important to find the right cage for your particular bird because the cage will directly affect the health and well-being of your pet. 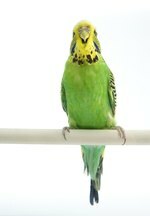 Below we give advice on selecting an appropriate cage for your bird along with some tips to ensure your bird is happy and healthy in their new home. Before you get a new cage, give some thought to where you should place the cage in your home. If possible, you should pick a central area of your home to encourage your bird's social side. And be sure to keep the cage away from any drafts of cool air. It's also important to give your bird and their cage some space. In fact, it's always best to get the biggest cage possible (of course, not everyone has room to spare in their homes), and this is particularly important for larger birds. Your bird should be able to walk around and completely extend and flap their wings without touching the bars of the cage. Round cages are thought to upset birds, so always get an angled cage. Rectangular cages are considered the best. Certain breeds have unique needs. 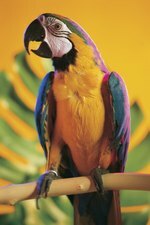 Parrots require enough space to climb and get plenty of exercise, while canaries and finches prefer a cage that is wide and long enough to allow for flying. Budgies prefer a cage that is tall and wide so they can move around, and cockatiels need enough room so their large feathers on their tail and head fit inside the cage and don't touch the bars when the bird moves. Birds that don't have enough room can act out in negative ways—it can cause them to bite, make loud noises, or excessively pluck their feathers. Also consider the bars of the cage. How far apart are they spaced? Are the bars horizontal or vertical? Larger birds enjoy bars that are horizontal so they can climb and get exercise, and smaller birds need the bars spaced closely together so they aren't able to escape – or get stuck between the bars during an escape attempt. And always be sure that your feathered friend's head cannot fit between the bars. Your bird's cage should be sturdy and well-constructed. Never choose a cage made from plastic or wood, as your bird will be able to chew through it. Cages made from stainless steel are a much better idea—they're non-toxic and easy to clean. You also need to be sure the cage has a strong latch. Birds can be crafty, and with enough time many can figure out how to escape. Be sure to choose a latch your bird won't be able to manipulate, possibly adding a lock to keep your pet secure. Your birds will spend a great amount of time in their cages. After all, a cage is essentially their home. So be sure to give the decision plenty of thought. And don't forget to clean the cage regularly and include perches and toys to keep your bird entertained, happy, and healthy.